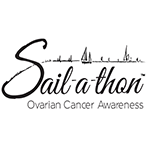 Sail-a-thon to raise ovarian cancer awareness joined forces with Lakewood Yacht Club’s Harvest Moon Regatta® for a 3rd year. John Walsh once again raised the most money for Judy’s Mission. Many thanks to all the skippers who participated and helped us raise over $14,000.